Looking for a cool gift idea? 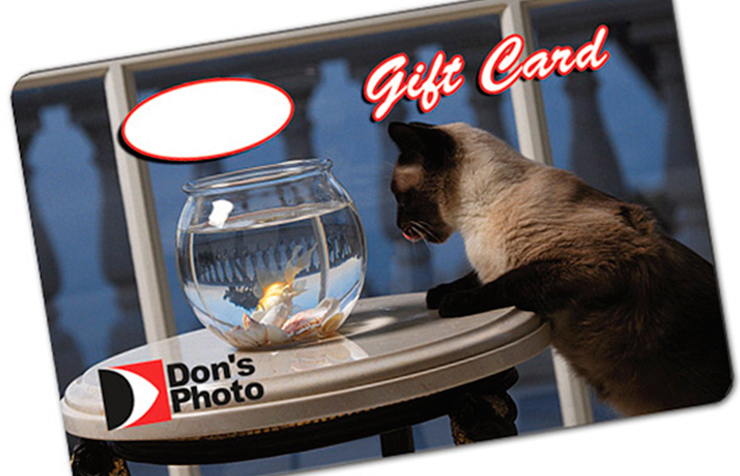 Look not further than a Don's Photo gift card. Please call our order desk at 1-800-561-6403 to order a gift card, or you ask any of our friendly staff for more information at one of our stores. There is no charge for shipping on any order of a gift card.